Private lot off RTE 302 in front of Inn, street parking both sides of Rte 302 as well as Norway Bank across the street from the restaurant. Culinary Institute of America graduate Chef/Co-Owner Jonathan Spak crafts his seasonally changing menus to showcase the best that local farms have to offer. While overall his style is considered contemporary American cuisine, influences and techniques from Asia, Southwestern United States and France are often incorporated. Hand cut steaks, fresh Maine seafood, homemade pastas, fresh salads and decadent desserts are creatively presented. Choose to dine fireside, on our popular screened in front porch, or on our glassed in back porch that offers spectacular sunset mountain views. You may also dine at JONATHAN'S, our lively pub. We have been given Four Stars by The Maine Sunday Telegram and named "Best In-Town Maine Inn" by Yankee Magazine. Please note that specific table or dining room requests made through OpenTable may not be available. Please call us directly if you have a dining preference. Join three talented Chefs as they fire up a collaborative menu featuring authentic Mexican cuisine, complimented by creative margaritas. Four course menu, $38 per person, plus tax and gratuity. Reservations highly encouraged. Please Note: We will not be serving our regular menu on this night. 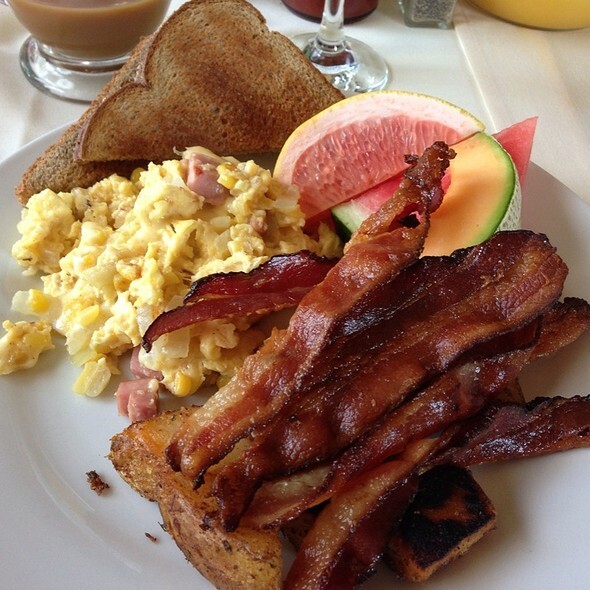 We will be serving Mother's Day Brunch from 10am-2pm, and dinner from 5pm-8pm. Treat Mom to a special meal with globally inspired, cuisine locally sourced. Outdoor dining available on our screened porch if the weather permits. Serving Easter Sunday from 10:30am-4pm. Our full regular menu plus brunch options and Easter themed dishes will be available as well. I tried the Organic Soba Noodle Bowl, It was delicious as well as being good for you! The noodles seemed to be authentic buckwheat noodles, in a very tasty miso broth. The mushrooms were very flavorful and were the star of the dish although the kombu and edemame really added some nice accent flavors and textures. My wife had the filet and while I didn't ask her how it was I can tell you she ate everything from her plate! Service was very good and the view was awesome. We have dined at the Oxford House Inn several times and have always been impressed. The servers are friendly, happy to be there and very knowledgeable about the menus. The food is exceptional and varies regularly, which I assume is based on what local ingredients are fresh and available. 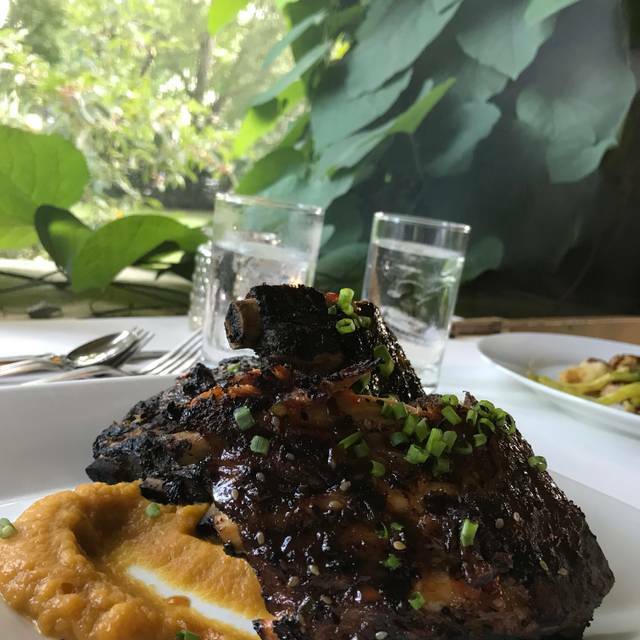 If you're searching for an outstanding dining experience, the Oxford House Inn is a must! 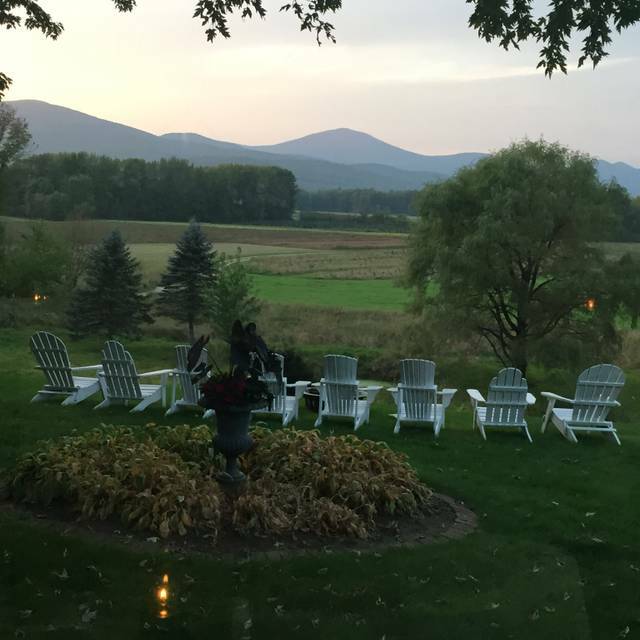 Our evening couldn’t have been any more perfect than what we enjoyed at the Oxford House Inn! We celebrated my husbands birthday and the staff went out of their way to make it a special dining experience! The food was cooked to perfection and the cocktails were perfectly mixed. We didn’t feel rushed in any way & were able to enjoy our evening at our leisure. We can’t wait to go back! Outstanding! Celebrated my husband’s birthday. It was fantastic. Beautiful view, awesome ambiance, delicious food! Can’t wait to go back. If I could eat there every day, I would. The staff is just as wonderful as the food. The choices are different, fresh, outstanding, unbelievable...should I say more ? - Can't wait to go again !. Have always enjoyed the Oxford House so introduced it to Boston foodie friends who were very impressed. 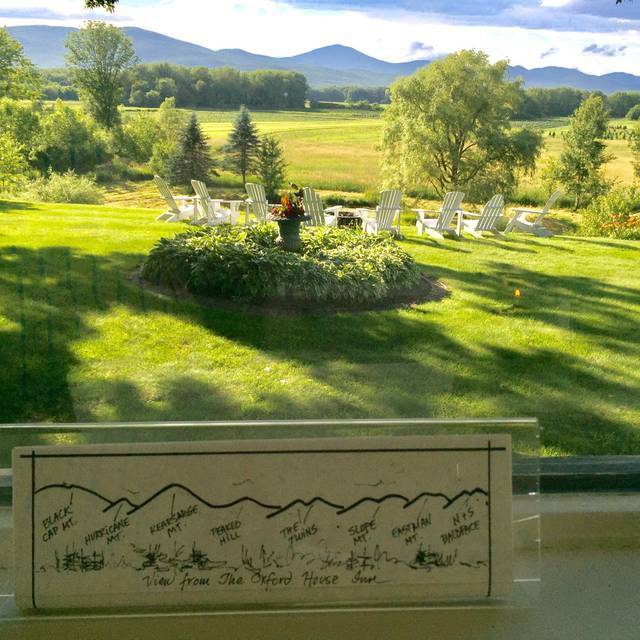 Our table overlooked the farm fields and we watched the headlights of snowmobiles returning to the rental next door. The ambiance is always good and I appreciate how the courses are staggered to enjoy conversation and not feel rushed. 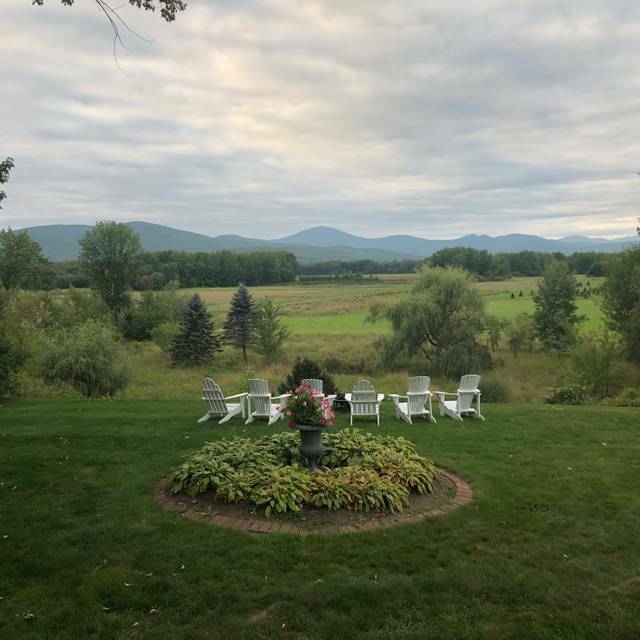 Oxford House Inn is a special place in the North Country. The restaurant has a warm country house feel. The food is wonderfully done and presented. There are nice touches of creativity in the pairings of dishes; the buttermilk fried oysters were topped with the chef' homemade pickled fiddleheads. It was a pleasure to be there. Always great! The presentation was great only to be matched by the quality and creativity of the apps and dinner! Also to make it special I ordered flowers from Lemon and Tulips across the street which were displayed beautifully on our table. Well done! Thank you for a great night as the dinner was great and the ambiance even better.. 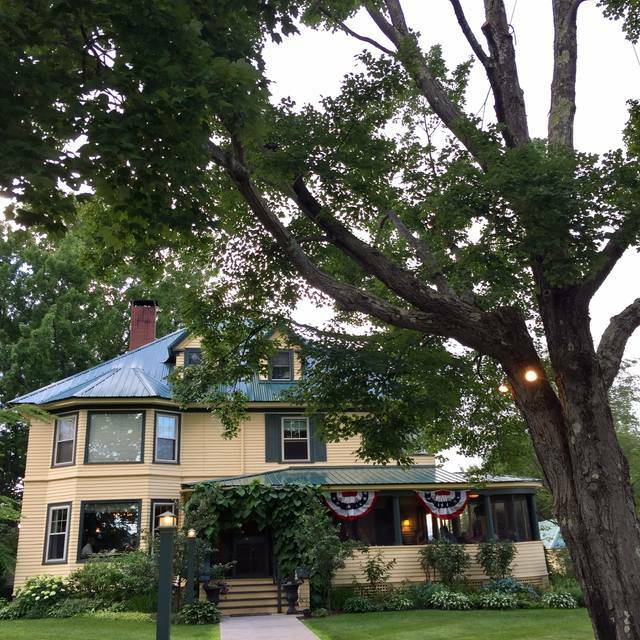 The Oxford House is one of the best restaurants in the North Conway valley. It’s an intimate restaurant with excellent food and great service. I recommend this for special occasions and for a special dining experience. Been many times, always a great dining experience - going again next week! Our favorite high end restaurant, great quality and value. We can always depend on a great meal and superb service. The Oxford House is our favorite place to dine. We enjoyed everything about our experience at the Oxford House Inn. The menu had something for everyone and the warm quaint homey feeling of the dining room just put the icing on the cake. Their homemade ice cream was worth a try as well. It was a little loud in the small room we were in. but there were three large parties, including our own so that was to be expected. I’ll be back! Been coming here for years. Never disappoints. The food is very fresh and the staff is friendly and prompt. The atmosphere is wonderful whether upstairs or in the field stone lined lower level. This was our third visit to the Oxford House Inn and I can tell you, if we lived closer, we would be there more often. Everything about this place is wonderful. The ambiance of the space, the quality and inventiveness of the food, the exemplary service, the well-crafted cocktails and exceptional wine list all add up to near perfection. On this visit we were greeted by an extra-friendly hostess who gave us our choice of seating - we chose the empty back room, as we had just driven 180 miles and needed a quiet space to unwind. Our server was incredible. Courteous and professional with a dry wit, who catered to our needs and really made us feel special. For food, we shared a few things - the Hearty Greens (Dried Dates, Hazelnuts, Blue Cheese, Apples, Maple Bacon Balsamic) was amazing with the perfect balance of sweet and sour; the Hoisin Braised Pulled Duck & Scallion Pancakes was fantastic and the perfect size for sharing. Our entrees were the Tagliatelle Pasta in a Brown Butter & Sage Sauce with Roasted Oyster Mushrooms, Goat Cheese, Truffle Oil, and Pine Nuts, as well as the Grilled Filet Mignon, which was served with a Truffled Celery Root Puree, Smoked Bacon Roasted Brussels Sprouts, and drizzled with a Cabernet Au Jus. Simply incredible. We finished with a few desserts: the Vanilla Bean Creme Brulee, the Bailey's Pot de Creme and a selection of Sorbet and homemade cookies. The starter cocktails were incredible - The Contessa, which was a riff on a classic Negroni and the classic Sidecar - both expertly made and beautifully presented. For wine we had a house exclusive - Black Pearl "Oro," which was a South African Cabernet blend - yummy! Can't say enough good things about the Oxford House Inn! 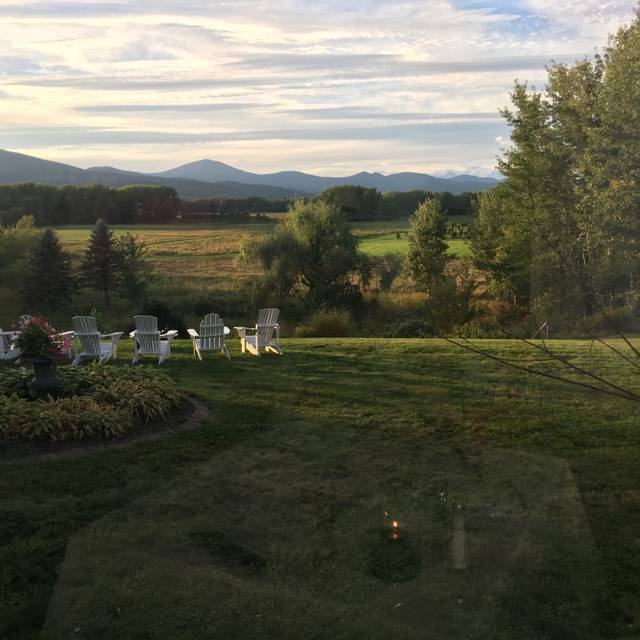 If you are looking for a fine food experience that also has a cozy, welcoming vibe, you need to head to Fryeburg Maine... Now! This was our first dining experience at Oxford House and it was great! We reserved a table in the pub downstairs because we prefer a more casual atmosphere. We had two appetizers - fried calamari (very tender) and also a spinach dip with house made potato chips (excellent!). My husband had swordfish with cheese mashed potatoes and broccolini, and I had a "bowl" which I can't remember the name of but it was made with mushrooms, truffle oil and ribbon pasta. Both of these were delicious! Our waitperson (Kim) was very attentive but not overbearing in the least. The ambiance is just what we like. We live about 45 minutes away, but it is definitely worth the drive - even on a super cold winter night! We will be back soon! The new winter 2019 menu was a hit with us! Everything was amazing as always. We really appreciate that the menu is on line so that if we or anyone in our party has a special need or expectation they have a heads up before the meal. Thank you so much for such a great dining experience! Creative seasonal cocktails with fast, friendly service. Yummy food at reasonable prices for a nicer restaurant! Will be going back! We always choose to sit in the downstairs bar area, but the ambiance of the entire restaurant is lovely. Great place for a special occasion, celebration or date night. These guys had all the ingredients, but fell short of offering a robust vegetarian/vegan menu. I suppose they expect mostly out of state skiers and snowmobiling meat eaters. Will only return if/when more vegetarian options are offered. We had a lovely dinner on New Year's Eve. The cozy atmosphere on the lower level was wonderful. My husband said his dinner (the duck) was the best he had ever had. The service pace is on the slow side, but that allows for great conversation. Food was excellent, atmosphere was nice and waiter was attentive. The food was excellent. 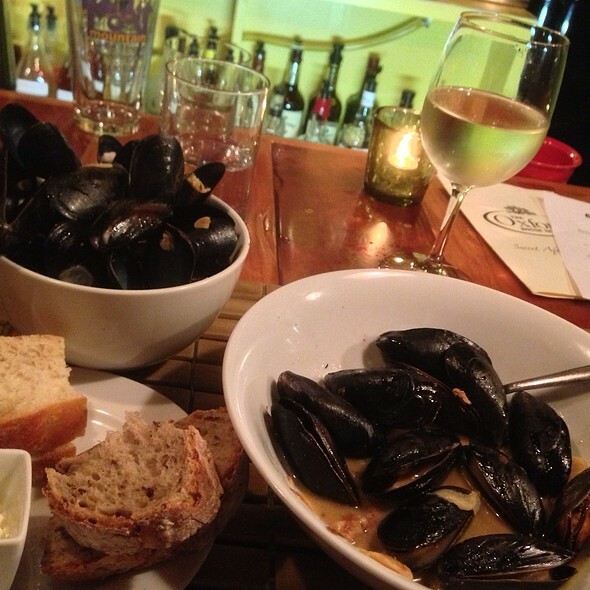 The Bibb lettuce salad was delicious, and the mussels were some of the best I've ever had. The restaurant is charming, and the service was very nice. Excellent food. Excellent server ! Loved sitting in the pub area ( loved the decor). Loved the idea of coloring while we waited. My three young adult children and my husband and I had fun entertaining ourselves !! Well done. Next time we head North from CT, we will stop back in- maybe even stay at the Inn! Always our favorite place for a nice dinner when we go to NH to visit family around the holidays, just over the Maine/NH border. Pretty little inn with delicious menu, sourced from humanely raised local sources. Usually some great vegetarian options, too. This particular visit we had an issue with one of the side dishes, but they were quick to bring another and correct it. Highly recommended! Oxford House is always a treat. The service from the moment you enter until you leave is outstanding. 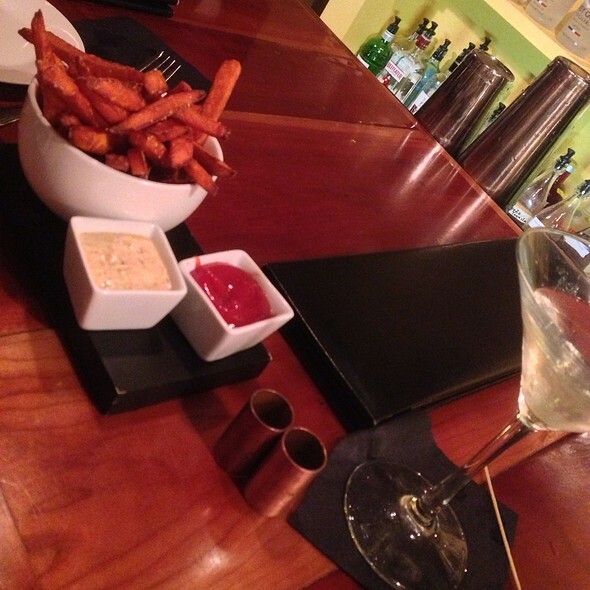 We love the unique menu options and a great wine/cocktail menu adds to the fun. We had the Grilled Filet Mignon with rajas cream which was so flavorful and melt in your mouth good! We also tried the Grilled 5 Spice Jerk Rubbed Salmon which was bursting with fabulous flavors. I wish we had room for dessert, but it will have to wait until the next time. We live locally and think this place is a real gem! We enjoy bar seating because it is so unique and cozy. The porch in the Summer is nice too. The restaurant is white table cloth and elegant with nice views if you like that sort of thing. The menu is interesting and fun. We like that they have lots of choices of starters, small plates and entrees. Food is always top notch. Visit them soon! We always enjoy our dinner and service. Staff is extremely accommodating to any special dietary restrictions or needs. Never leave disappointed, truly our favorite place to dine out. It has been years since my wife and I dined at the Oxford House. We had no idea what we have been missing. In a word, it was fantastic. The menu was varied and offered many choices that fit our dietary restrictions. From start to finish, the food was delicious. Our waitress (Taylor) was terrific. We highly recommend this gem of a restaurant. We are already making plans to return. We’ve been going there for the past 10 years. It’s fantastic! Celebrating our friends anniversary and this was the perfect place. The food was delicious, the pace of service was perfect- not to long between courses but they were not right on top of each other either- and the atmosphere was cozy. There was a great vegetarian option as well as meat and seafood, so everyone was happy. Well done! Have been many times, never a disappointment. Will return for many years to come!